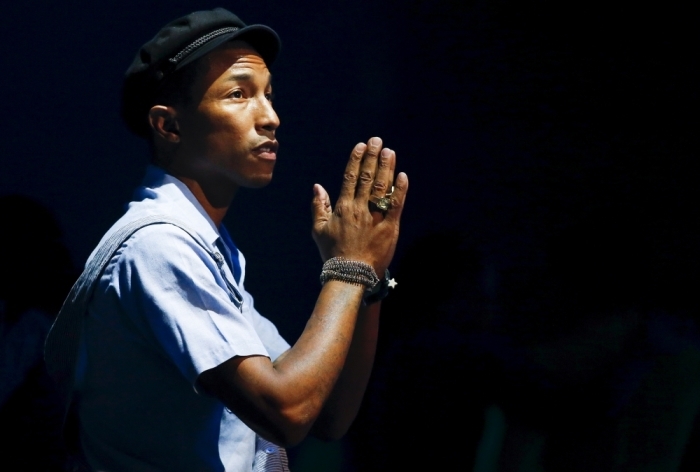 Replacing the word "God" with "universe" could have an impact in how people who place their faith in science receive the Bible, according to music artist and producer Pharrell Williams. The super producer's vocals and uptempo track have been featured in a collaboration with gospel musician Kirk Franklin for the song "123 Victory Remix." When promoting the collaboration, both Franklin and Williams appeared on the Beats 1 Radio show, the OTHERtone. There, Williams shared his opinion about how the world of science and religion could seek to understand one another. "I don't think the church gives enough credence to science. On a scientific level, there's departments in your brain for everything that you think," Williams said. "All of your thoughts come from your brain..and there's a part where it falls under religion. And certain people just don't have that." According to Williams, certain people don't believe in religion because of the chemical makeup in their brain. While he said he doesn't believe there is anything wrong with those people, he offered a suggestion for getting them to read the Bible. "I'm just saying certain people chemically on a chemical level ...they wouldn't believe no matter what it is that you've told them. But I think a cool way to bring people together is to say, 'look you don't have to look at it in a faithful or religious way. Read it as a text,'" he said. "Replace the word God with 'the universe' and It starts making more sense to you." Along with his suggestion, Williams made sure to make his own beliefs in God clear. "Now I know that there's power in that word. I've experienced it. I've seen it," he said. "But everyone has their journey and not everyone is going to believe. But I think it's really important to get us to understand...because if you have a difference of opinion I think it's smarter for you to understand your difference of opinion than to not know at all." He went on to add, "I think the easiest way for us to get to know each other is to share each other's beliefs and our differences and get to know them and understand them." On the radio show, Franklin explained that Williams had expressed an interest in wanting to work with him for some time. For his latest remix, the gospel music star was intentional about making it happen. "I told him about the song idea, this was in December of last year. He heard it and he said 'I think I've got a better idea,'" Franklin recalled. "How do you say no like that? He was extremely busy. When you're blessed to work with someone with a talent like that, you wait. And you wait until God's divine time." In a previous interview with GQ Style magazine, Williams explained his religious beliefs as being a Universalist. "... On paper I'm a Christian but really I'm a Universalist," said Williams. "Do I think that Christianity is the only way? No. I think the only route for everything is their connection to God … There's religious dogma that gets involved, something for the greater good and sometimes for not so great reasons … But they give you a way, a vehicle to get to God."